It's rare for me to discover a new band and their first album that completely astounds me, leaving me at a loss for words. However, Milwaukee-based progressive rock trio Concentric and their debut full-length disc Immeasurable left me feeling that way. And that's not a bad thing. Attempting to toss the Thesauruses and verbosity aside, I'll try to give you my thoughts on this wonderful album. Perhaps as prelude, I should tell you what my son said of Concentric on his Facebook wall, after I gave it to him for a spin: 'Holy Crap. Easily some of the most beautiful music I've ever heard.' My son, a 15 year old sophomore, is a musician, playing both bass and guitar, and listens to everything from Zeppelin to Floyd, Mastodon to Cage the Elephant, from prog to metalcore. Now, he keeps bugging me for it so he can share it with his friends. But now I'm digressing. Lately, I've remarked about the abundance of great progressive music that has been passing across my desk so early in the year. 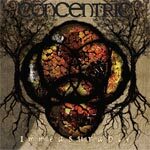 Concentric's Immeasurable has quickly become my first choice for best prog rock album of the year, at least so far. Combing creative freedom, genius, and old-fashioned inspiration, Concentric's Immeasurable is brilliant progressive rock, a standard by which others could be judged. Combing creative freedom, genius, and old-fashioned inspiration, Concentric's Immeasurable is brilliant progressive rock, a standard by which others could be judged. It's on my very short list for prog rock album of the year.